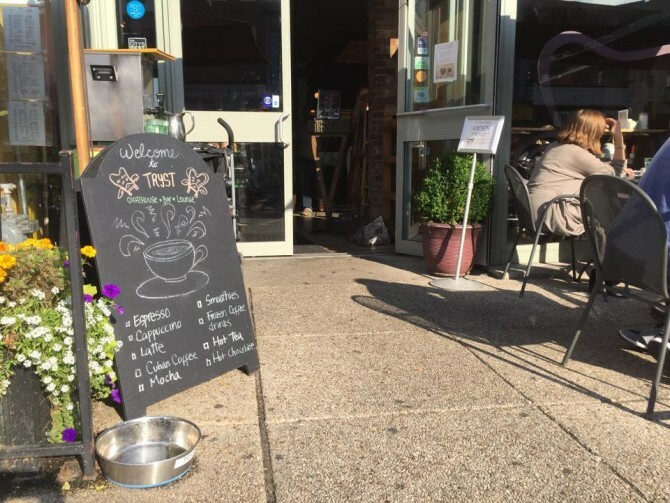 You can’t visit DC’s Adams Morgan neighborhood without stopping at what the locals will tell you is THE best coffee shop, Tryst. 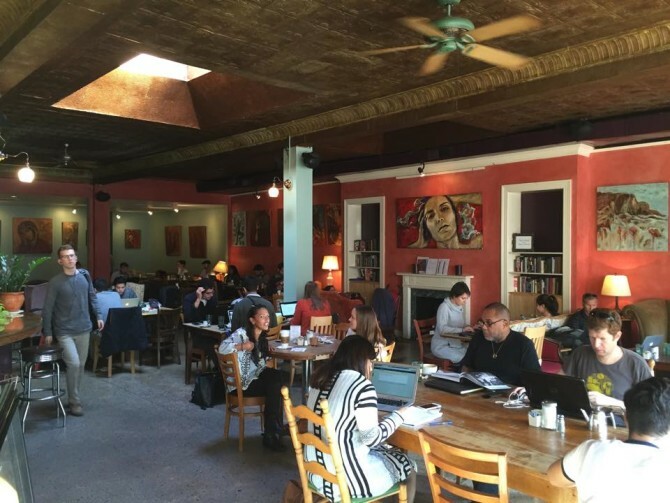 This coffee shop is famous among DC dwellers for its calm atmosphere and its rich coffee. I’m sure you’ve heard that you have to eat at Amsterdam Falafel, acquire some vinyls at the Crooked Beat Records or have brunch at Roofers Union. However when you ask people where you need to go when you visit Adams Morgan they will insist that you check out Tryst. Tryst is a cozy and open location well known for its authentic macchiato and dark chocolate flavored coffee. There are people leisurely reading next to the windows and others diligently working near the fireplace. It is a busy but serene atmosphere because everybody is working with a silent determination. Sunlight floods into the cafe and the paintings on the wall give Tryst a very artistic atmosphere. One of the unique things about Tryst is that you don’t have to get up, wait in a line and waste five minutes to grab a cup of coffee. The staff comes to you and takes your order, which allows you to continue working while the barista works on your energy booster. This local favorite also serves an authentic macchiato which is basically an espresso with a little foamed milk on top. 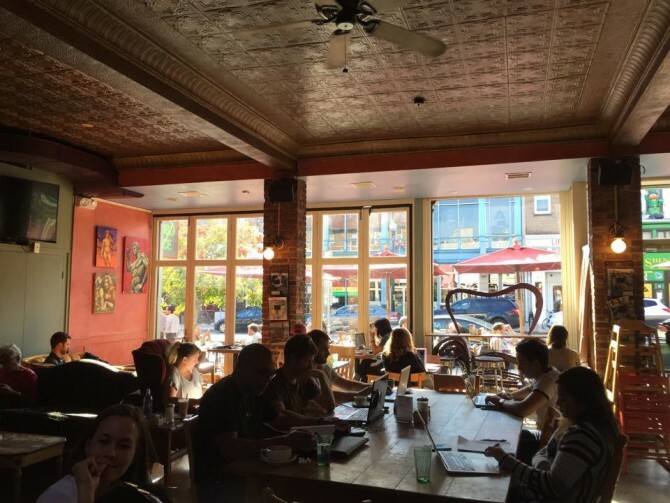 Many of DC’s European residents come to Tryst, because they know that Tryst is authentic in every way unlike other cafes. Another distinct aspect about Tryst is that their coffee is raised on a single coffee farm. 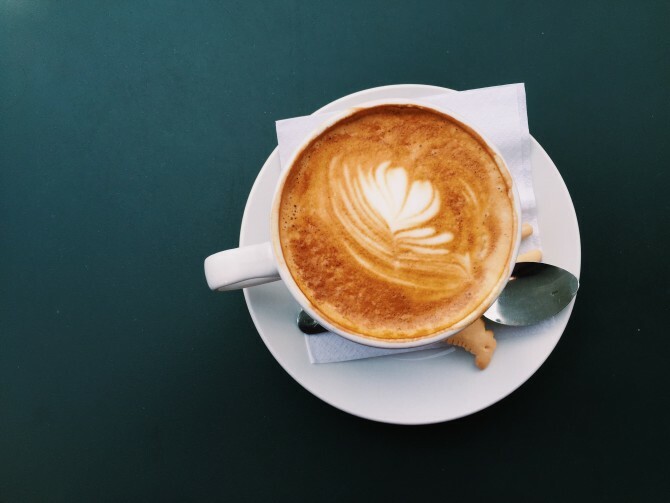 Most coffee shops now use coffee beans that have been raised from one location to another, blending in different flavors from each farm, giving the coffee beans a taste that is combined with many different flavors. Since Tryst uses coffee beans that have been raised from one location, their coffee has a consistent flavor instead of a blended one. 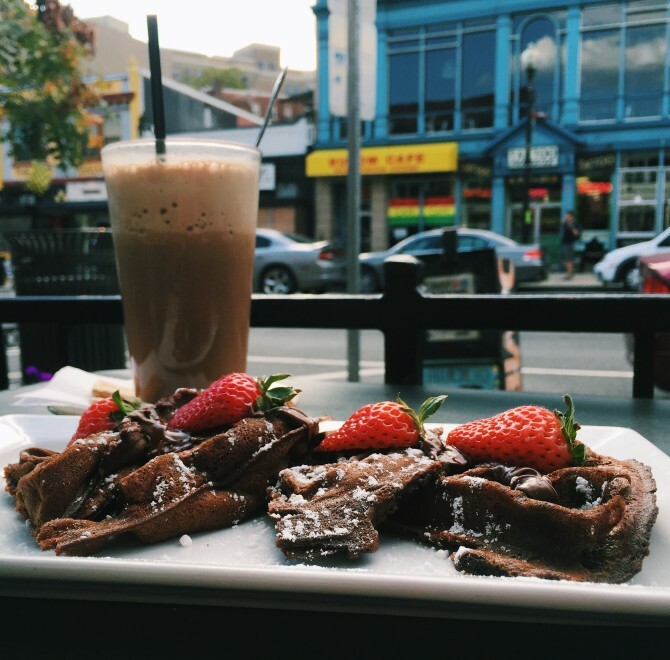 The most popular items at Tryst include their drip coffee, macchiatos, mochas, chai and the Death by Chocolate Waffle. 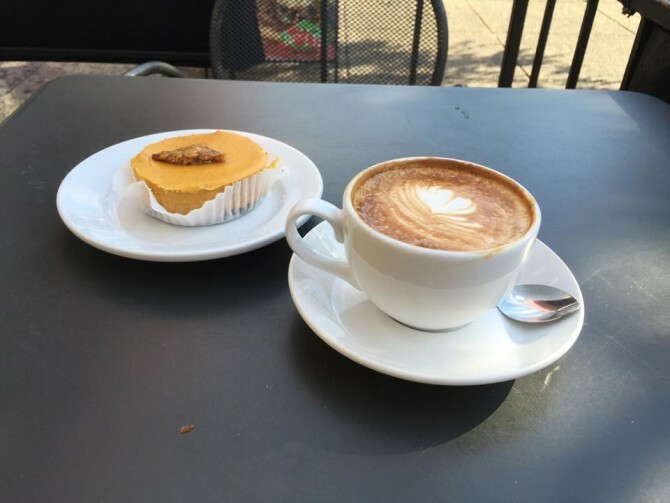 If you want to enjoy something more seasonal, you should try their creamy, but not too sweet, pumpkin cheesecake which pairs well with a cappuccino. So when your sick of feeling caged in like a bird at club lib, go check out Tryst for an open environment that actually encourages you to study instead of forcing you.